The third installment in ASI’s popular “Index It Right” series offers a range of current and practical coverage from ebook indexing (Glenda Browne and Mary Coe), taxonomy construction (Fred Leise), and meta-tagging (Chuck Knapp) to indexing in niche areas such as literary criticism (Martin White), science (Anne-Marie Downey), and math (Cynthia Landeen). 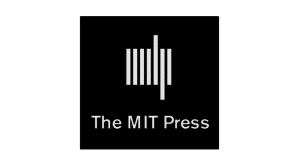 The book also includes chapters on history indexing (Connie Binder), the challenges of indexing multicultural texts (Celeste Newbrough), advice on how to handle Chinese names (Lai Heung LAM), indexing as art (Frances S. Lennie), the logic and use of patterns (Scott Smiley), and teaching indexing (Lucie Haskins). 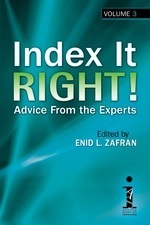 For many indexers, the thorough chapter on periodical indexing (Linda Dunn) will be all that’s necessary to recommend this expertly edited volume from series creator Enid L. Zafran. ATG " I Wonder" Wednesday: Does your library have policy protecting the privacy rights of those using its websites and other library services?